Dallas’ fine arts scene is renown. With the Arts District hosting numerous events such as operas, the symphony, traveling Broadway musicals and van Gogh exhibits, Dallasites and tourists alike have enjoyed its many treasures. Now, with food trucks parking nearby for some traveling fusion finger food, and Warren Park coming in as a place to get your wiggles out between arts events, the Arts District really has it all. But for those weekends where you are tired of the mainstream classics and are looking for something a little more edgy, the Dallas independent theater scene can deliver. There are independent theater venues all over town. With many close to and inside Fair Park, they provide a little change of pace to the average performing arts space in Dallas. With intimate performances put together by and for local audiences, the independent theater scene can provide a great night of performances that will make you both laugh and cry. Two great venues/companies are Nouveau 47 and the Ochre House, both located near Fair Park in South Dallas. 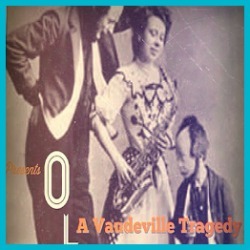 Ochre House is currently playing Old, a vaudeville tragedy/comedy that will fulfill your every desire of going rogue for weekend entertainment. The play is inspired by Shut Up, Little Man, a series of recordings made through the walls of a San Francisco apartment of two old fighting alcoholics, and which has since inspired a Sundance nominated documentary. So if you are ready to get weird and experience raw, intimate and unique performances, find an independent theater show. You may get spit on, but it will be worth it.